Information about built-in Canvas collaboration tools, including Collaborations, Conferences, Discussions, Groups, and Pages. 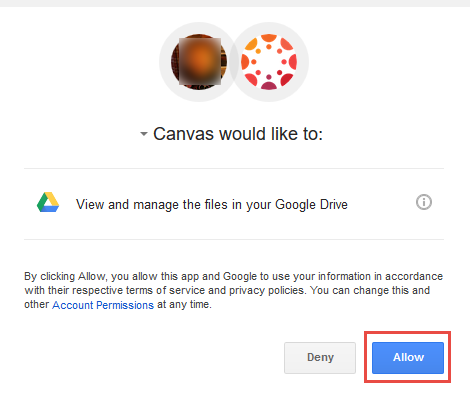 Canvas uses Google Docs to allow multiple users (up to 50!) to work together on the same document, at the same time. Collaborative documents are saved in real-time, so any changes made by its users will be immediately visible to everyone. 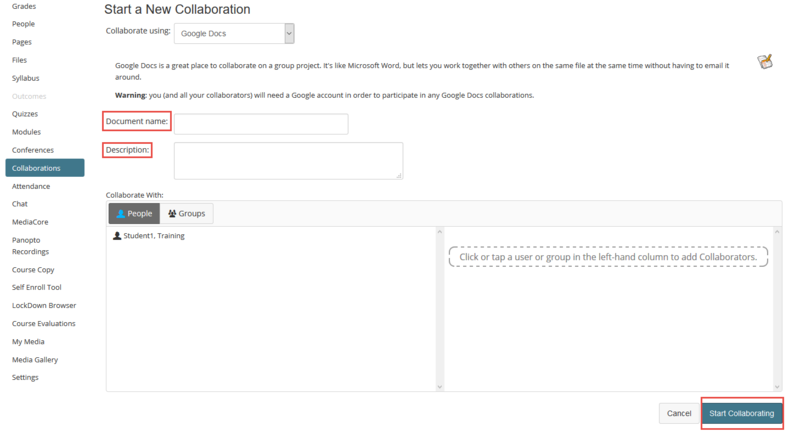 Collaborations using Google Docs require all participants to create and link a Google account to their Canvas account. 1. Log in to Canvas. 4. Click Google Drive from the Other Services list. 5. 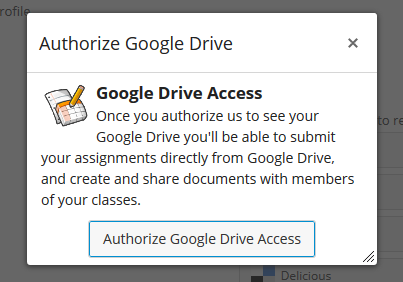 Click Authorize Google Drive Access. 6. Sign in with your Google account. 8. A confirmation message appears. 9. Google Drive appears in your Web Services list. 1. Log in to Canvas, and then click a course. 2. Click Collaborations from the left-hand navigation menu. 3. Type a Document name, Description. 4. Choose the people or groups to Collaborate With, and then click Start Collaborating. 5. The new document appears. 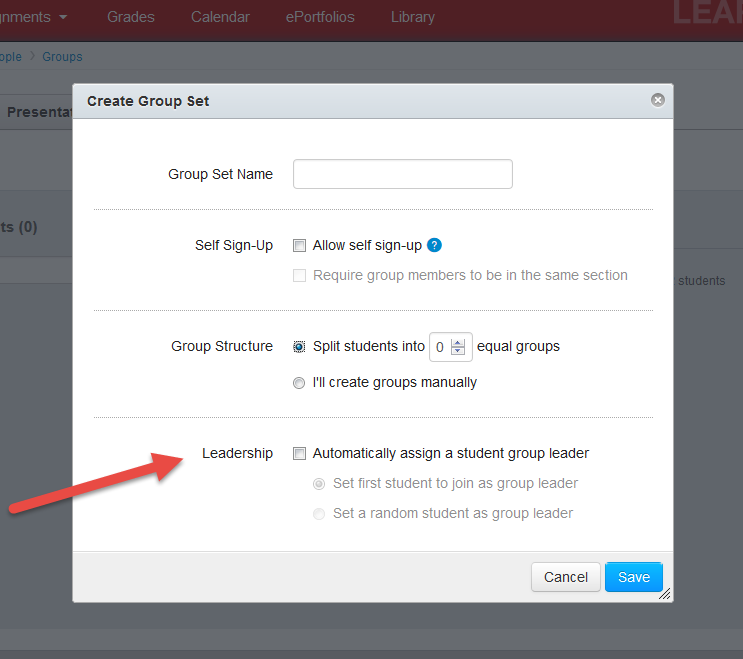 If you want to create a document for a specific group, create it within the group. Here are a few ideas for incorporating Canvas Collaborations into your course. Share lists or agendas for upcoming class meetings. Create a text-based whiteboard discussion that everyone can add to at their own pace. 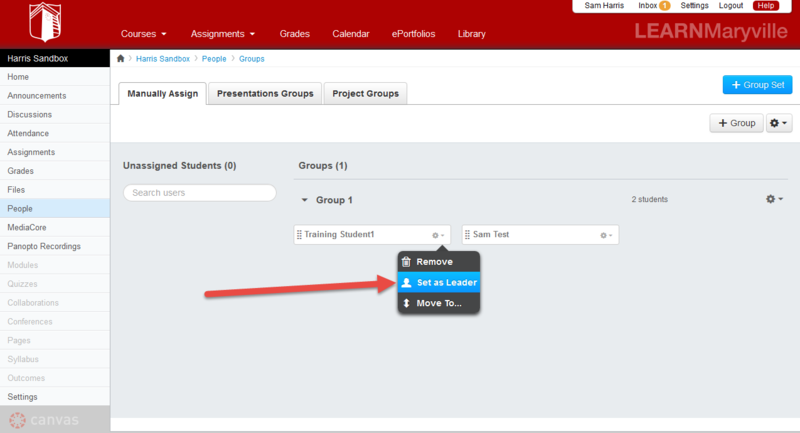 Assign student groups a collaborative assignment. Ask them to submit the URL to the document for a grade. Contact LDT with questions about Canvas. Canvas has a new production release (updates to the system) coming on Saturday, July 12th. There are some big changes coming to groups. This feature doesn’t have any real functionality, yet, but expect Canvas to begin expanding this role with the next few production releases. For updates on this feature, check out the Canvas Guide. One thing I’ve been looking at lately is the difference between “Long Running” and “Time Restricted” conferences in Canvas. Part of setting up a Conference is choosing either “Time Limit” or “No Time Limit” (see below). 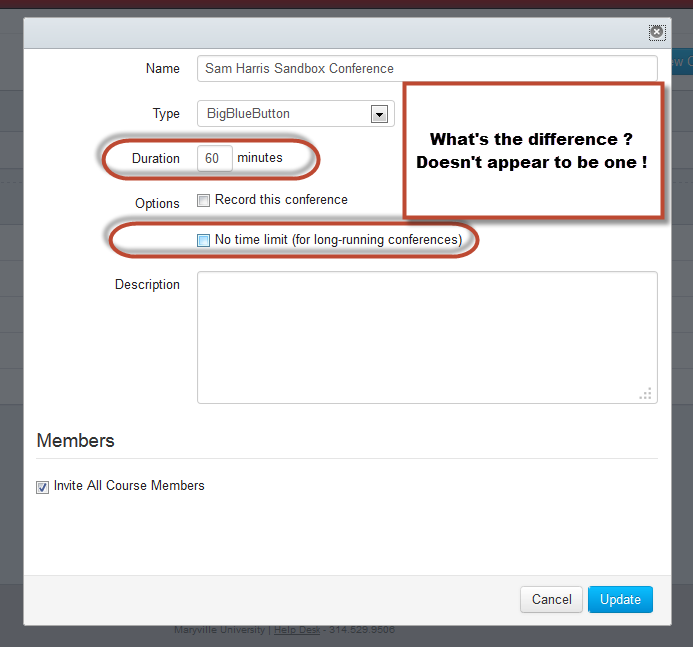 If you read the Canvas documentation they say that a “Long Running Conference” is a conference that you use more than once. One example would be “office hours.” The idea is that you can set up one “Conference Room,” and then just reuse it over and over again without having to re-set the “conference” up. However, it doesn’t appear to work this way. After some testing, these different “Conference” types seem to work the exact same way. 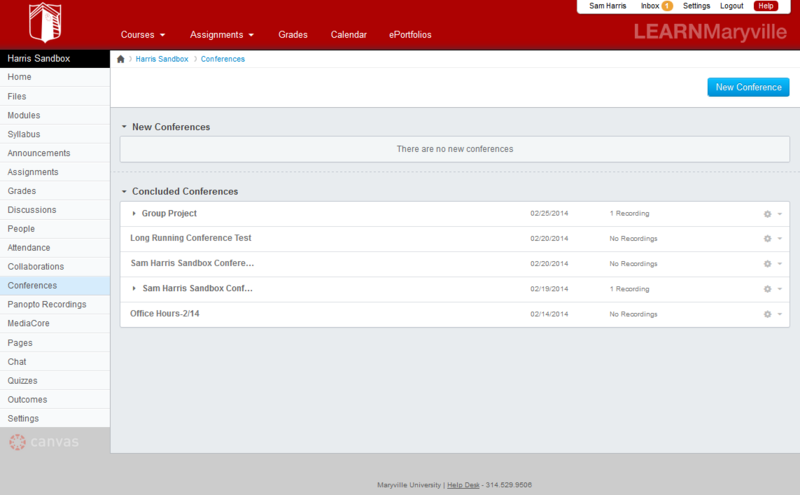 SO, if you want to use “Conferences” you will need to set a new one up for each session. I will be sure to do another post if I determine that this has been fixed OR if I’m wrong in my initial assessment. Where do you find ePortfolio? Log in to Canvas, click Account, and then click ePortfolios.